The list of great new cars over $30,000 is a long one, but it's the surprisingly fantastic quality of what's below that benchmark that shows off the state of today's new-car market. What follows is our ranking of the best new vehicles you can buy right now for under 30 grand. After poring over data from both the manufacturers and the government, we developed our own in-house metric, weighing everything from technology, to design, to power and fuel economy -- and while mindful not to let personal opinion sway the ranking, we threw in some subjective criteria like looks, comfort, and handling. With some truly desirable crossovers, sport sedans, and even pony cars all making the cut, the results, while imperfect by their very nature, are eye-opening to say the least. We'll be updating this list periodically, as new cars, new features, and new pricing become available. 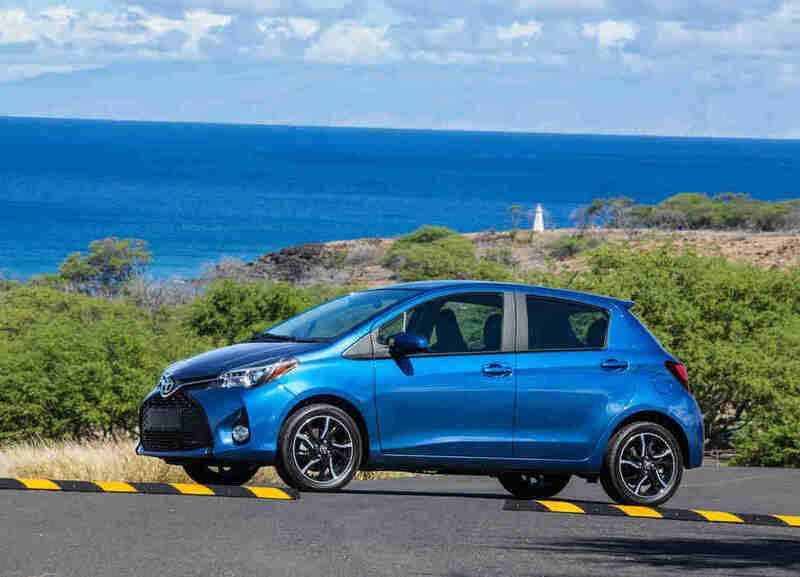 If you're surprised to see a Yaris on this list, with its 106hp and economy car looks, here's some food for thought: When Toyota decided to go flat out in chase of a World Rally Championship for 2017, it went with the Yaris. Honda's mass-market crossover isn't on this list for any one thing. It's the sum of its parts, as a well-balanced package featuring a combination of technology, safety, and creature comforts. It's virtually inseparable in our metric from the Yaris, but since they're hardly competing, take that with a grain of salt. If you tick option boxes with reckless abandon, you can easily run the price of a Traverse to well past $40,000. Exercise restraint, and you have a 281hp, comfortable, mid-sized crossover that still has a surprisingly large amount to offer. Sure, you can get a base-level JUKE for quite a bit less, but considering you can get into the 215hp NISMO RS variant, you'd be remiss not to at least consider it. That represents a big power jump for a vehicle that, in its cheapest form, is already faster than an '84 'Vette. Throw in some styling that's avant-garde even for the small crossover crowd, and you've got a very intriguing quirk. As with the JUKE, the Passat gives you more value the higher up the ladder you go. You can get the 280hp V6 SE -- that's 110 more than the 1.8-liter turbo four-cylinder that comes standard -- and have some fancy tech to go with it, without crossing the $30,000 MSRP barrier. 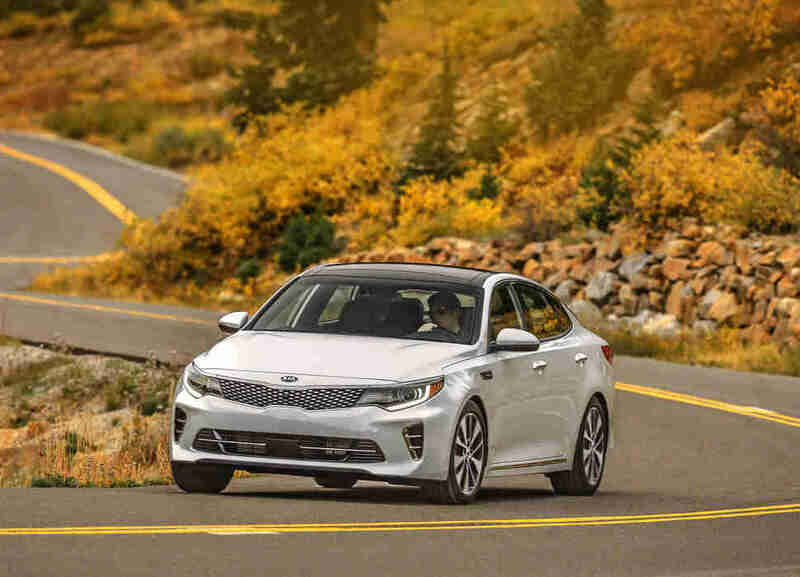 What the Optima might be lacking in sheer power and stunning beauty, it more than compensates for with good useable tech and right-at-30 combined mpg, according to the EPA. Worth noting: It's in a virtual dead heat with both the Infiniti QX30 and the base-level Ford Focus in our metric -- we had to go to the second decimal to break the tie. OK, so by the time you've signed on the dotted line you're probably going to cross 30 grand, unless you're a pretty savvy negotiator. Pull it off, though, and you have a compact crossover that shares more than a few parts with the Mercedes GLA. The unsurprising result is an entry-level luxury crossover that has just a little bit of everything. The base Focus cracks the top 20 because it's a very well-balanced package. It has better acceleration and handling than more than a few of the cars on this list, and its design is reasonably nice, both inside and out. Plus it has tech, if you want it. The Edge sits, oddly enough, directly in the middle of Ford's crossover lineup. That means an entry-level Edge is still nicer than most vehicles under $30k, and it's large enough to hold a practicality advantage, too. With its rugged-yet-understated looks and mid-20s price tag, the Outback has long been a great option for anyone looking for the kind of fun you have to leave the highway to find. To that end, its hallmark functional off-road abilities give it enough of a push to skip right past more than a dozen other vehicles. If you've been paying attention, you'll see that this is the second time Focus appears this list. What gives? Well, while the ST might not be as extreme as the drift-crazy Focus RS, it's still a vastly different animal than the base Focus sedan. It's not just about the 252hp and the suite of suspension goodies that the car has -- it's marketed to a very different demographic. The bottom line is, if you can't go over $30k, and you're even familiar with the term "hot hatch," this should be on your list. Perhaps surprisingly, the RAV4 is reasonably comfortable for an entry-level crossover, and it handles well, too. Those factors help, but the RAV4 is here because of the suite of electronic safety features designed to make sure you pay attention to the road. The base-level Impreza's combination of looks, ride quality, 31mpg, and a seriously low price for the sum of the parts puts it in pretty good company. Of course, the all-wheel-drive fun doesn't hurt, either. 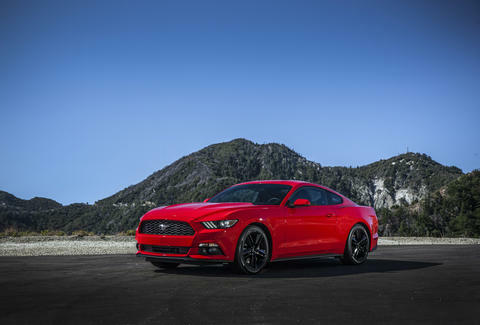 It's been a long time since you could order anything other than a V8 Mustang with a straight face when looking for performance. 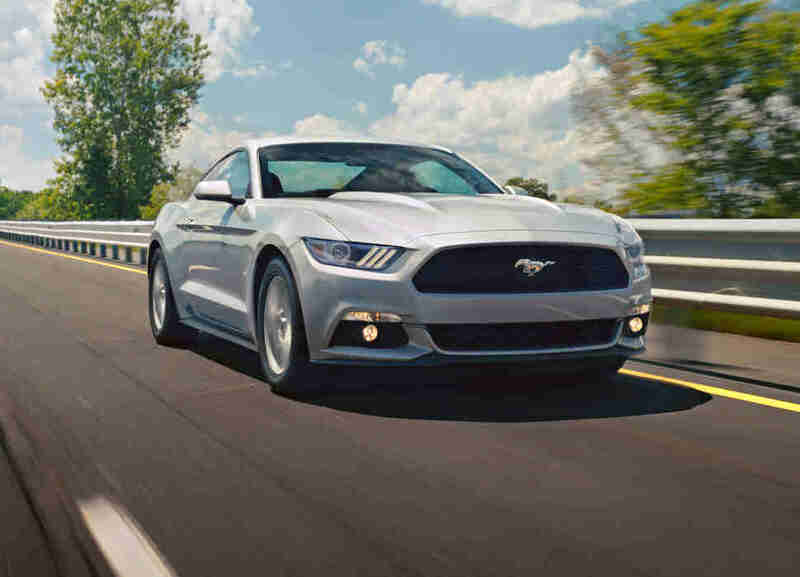 The EcoBoost is easily the Ford of choice below 30 grand -- and there's still enough change left over to spring for the performance package, which has a host of goodies to make the car suitable for track purposes. Mustang actually dropped a spot since our last ranking, thanks to some price fluctuations, but with some legit improvements due later this year, expect it to jump well into the top 10 this fall. There's not a lot of power variation between the Civic Hatchback's different trim levels, but when you spring for the EX ($3,100 over base), you get a whole suite of desirable tech items, including CarPlay. Like the Infiniti above, the 370Z really only goes for under $30k on paper unless you get a good deal. Still, get that good deal and you've got one of the most engaging driver's cars on the market, regardless of price. 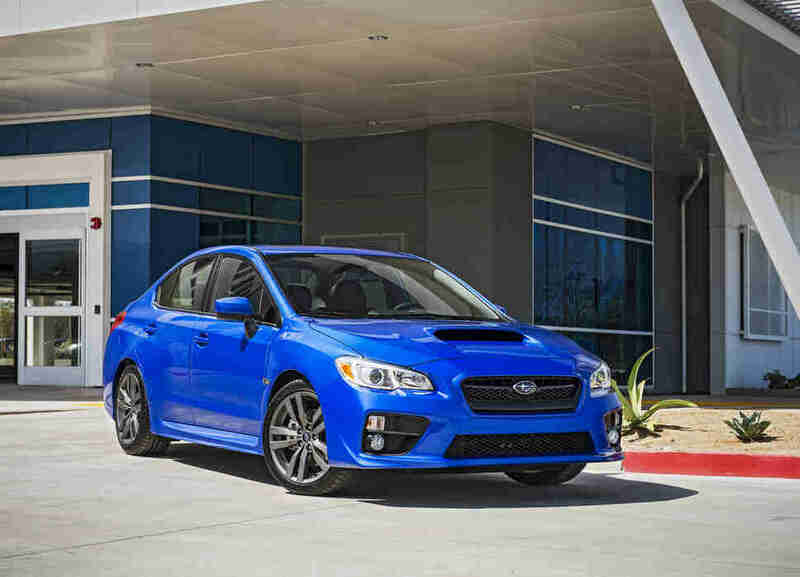 The WRX name is as established by now as any other on this list, and the entry-level version of the car comes with a not-insignificant 268hp. Consider this the responsible, adult version of the dancing partner you grew up idolizing as a kid. If the Elantra seems a little out of place here, step back and think about what it represents. If the goal is to build a good, solid automobile, that's what the Elantra is. It's not powerful or particularly sporting, but it has reasonably good attributes throughout (design, tech, and efficiency). Moderate power (201hp) combines with high marks for comfort and tech to get the Acura an overall score that's firmly in the top 10. If you haven't seen them yet, check out the jeweled LED headlights on this one -- they're part of the base package. The CX-3 might be a compact crossover, but it's still a crossover, which means it gets high marks for practicality thanks to its interior volume. Combine that with both fresh design cues inside and out and you begin to see why the CX-3 gets a top-10 nod. I know what you're thinking, but nothing's wrong with the math here -- the CX-5 and CX-3 really are next to one another. The higher-but-not-by-much cost of the larger Mazda sibling is more than offset (granted, by the slimmest of margins) by the slightly more comfortable journey and more mature look. Really, any number of factors could sway the balance one way or the other with these two. To some people, a Camaro is nothing more than a V8 with a car attached to it, possibly driven by a mullet. Those people are morons, because A) the current generation of Camaro is one hell of a good-handling car, and B) even the "base" Camaro engine is a 275hp four-cylinder. One of the least expensive vehicles on this list, the Cruze is also tied for the most fuel efficient non-hybrid ranked here, at 35mpg. It holds par in the looks and comfort departments, but really shines when it comes to tech, with features like 4G LTE and programmable key fobs to limit what the car can do when you toss your spare key to someone. The base model edges the sportier S model here simply because the large percentage bump in power was offset by the cost. Truthfully, it's a virtual dead heat. 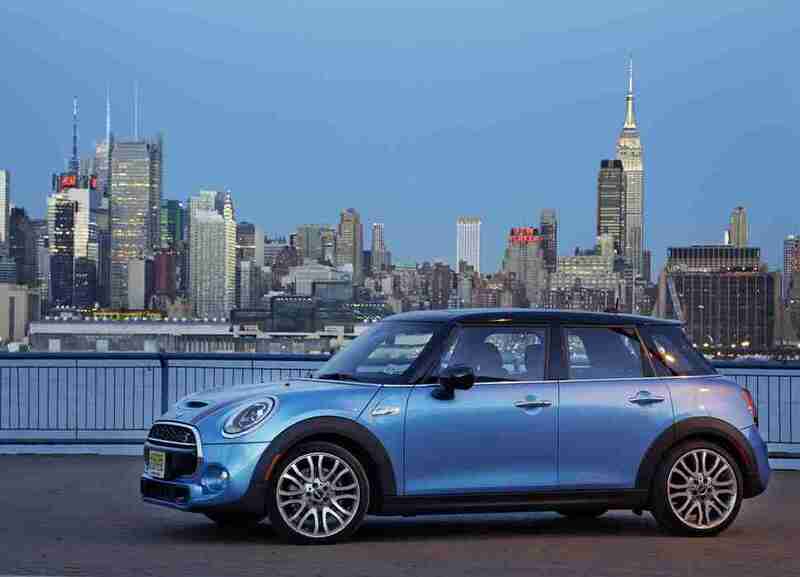 As for the sedan-ized MINI outranking the coupe, they're more or less the same as well, with only slight deviations (practicality and ride to the four-door, design and handling to the two-door). If treated separately, they'd rank in order here, so you just have to decide if you want the classic look or the extra space, and if you want some extra power under the hood (hint: yes). Yes, if you're keeping count at home, that's three Mazdas in the top 10, and, perhaps amazingly, not one of them ends in "-iata." 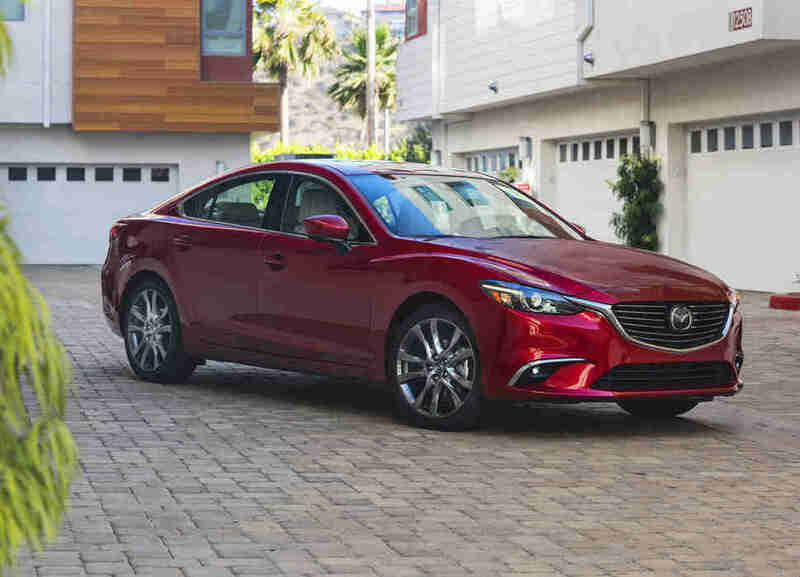 Mazda's slogan is "Driving Matters," which is undeniably true, but the simple fact is that practicality and comfort also matter, and both are areas where the 6 has an edge... over most things under $30,000. It might not have a ton of power (184hp), but with handling that's within shouting distance of some of Germany's sport sedans -- and it's more than a little noteworthy that they're not even eligible for a sub-$30,000 ranking -- it's not losing much in the performance department. That you can upgrade to a package with plenty of tech and really load the car down with options without breaking the budget makes it kind of an obvious car to at least have on your to-drive list. The Chevy Bolt is a tough car to accurately price, which is ultimately why it's not actually ranked here. That's a shame, because we've driven it, and the Bolt's combination of efficiency, practicality, and surprisingly good ride and handling characteristics would land it right at the top of "Best New Cars Under $30,000 You Can Buy Right Now." 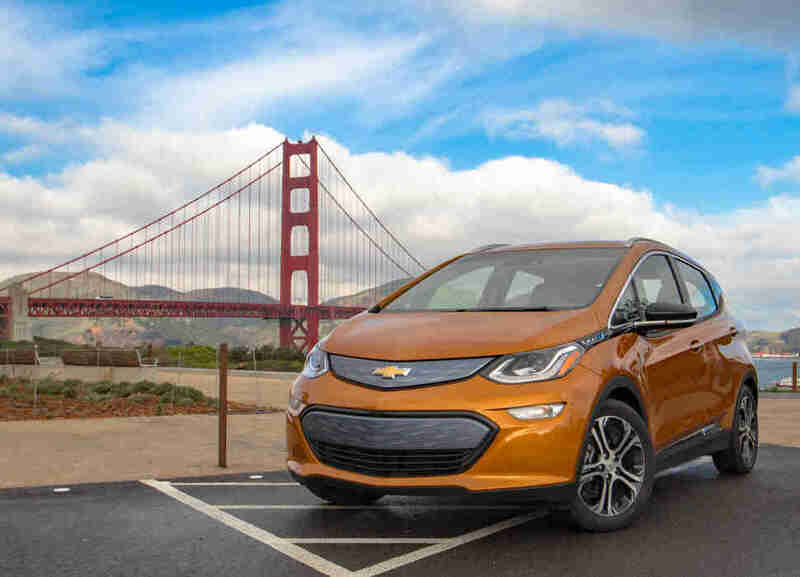 Theoretically, the $7,500 federal tax credit for EVs brings the effective price of the Bolt to $29,995. All the other cars on this list -- even those that barely squeaked in under the $30,000 limit on paper only -- are available at that price to everyone, but that's not the case with the Bolt, since the $7,500 credit isn't a full $7,500 for everyone. The credit is simply however much you owe in taxes, up to $7,500. So if you owe less than $7,500, you get less... thus making the car more than $30,000. It's confusing, perhaps, but unless every person with $30,000 burning a hole in their pocket can buy a given car, it's not qualified for this list. Overall, is this list perfect? Not even close, but then again, no list can be. There are many factors that go into the car-buying process, and many of them are deeply personal, nuanced reasons, to which buyers adhere with an almost religious fervor -- Ford vs. Chevy, front- vs. rear-wheel drive, practicality over performance, and so forth -- meaning no one metric can ever be definitive. Perhaps the most interesting takeaway is that the Miata, the Subaru BRZ, and the Ford Fiesta ST -- all small cars that value sportiness above all else -- each fell by the wayside to cars with a more balanced approach. A similar factor left cars like the Chevy Spark EV and Ford C-Max Hybrid SE in the relegation zone for their singular push for efficiency. Want more of the world's best Cars content delivered straight to your inbox? Click here to sign up for our daily email. Aaron Miller is the Cars editor for Thrillist, and can be found on Twitter and Facebook. He'd love to compare the marketing metrics that Mazda's product planners use to what he used to create this list.